Meroproperty.com offers you several kinds of listings and corresponding services. The nature of listing you choose determines the virtual space occupancy of your ad, the priority it gets in comparison to other listings, the time of availability of your ad in front of the user, and other services we offer. In addition to these, along with the listing-specific services, the cost we charge also differ. For more information about any of the categories mentioned below, do not hesitate to contact us. 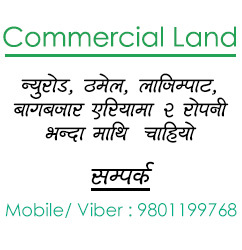 Gold - Hot Properties NPR 5500/- Contact an agent and get a discount! Gold - Hot Properties features your property on the homepage of this website for about 3 months, and then pushes your ad to Listing Gold - Hot Properties until your property is sold. In addition to that, the property enlisted in this category shall be digitally marketed via social media such as Facebook and YouTube. Staffs from meroproperty.com shall visit your property, take attractive picture, edit it, and feature your ad. Your property gets instant encounter with user, with spacious ad, and top priority. Premium Listing NPR 11,500/- Contact an agent and get a discount! Premium Listing features your property on the homepage for about 3 months, drops it to the Listing Premium Listing until your property is sold, but continues to priories your product on social media marketing until the property is sold. It is more spacious than Listing Gold - Hot Properties and the user gets instant eyes on your property the moment he/she visits the homepage of meroproperty.com.